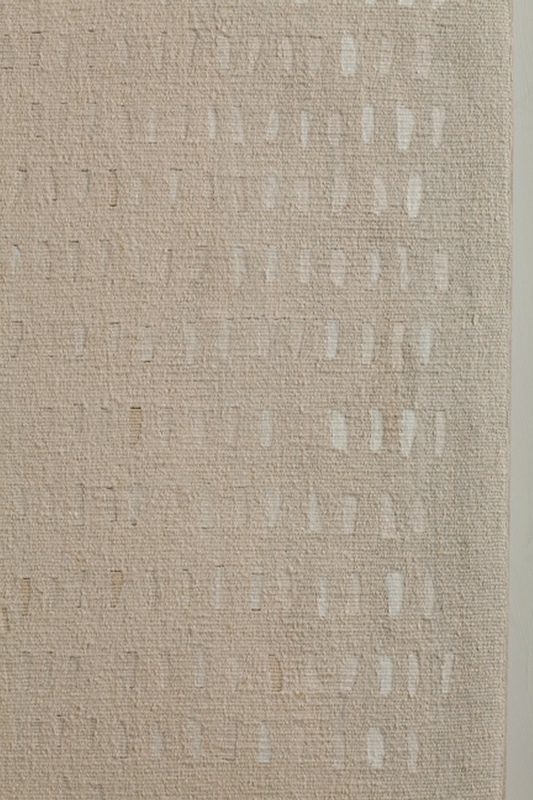 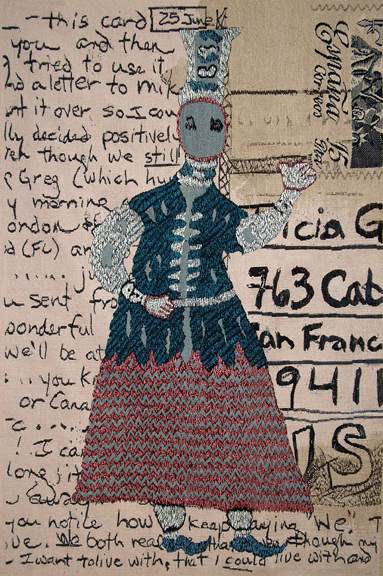 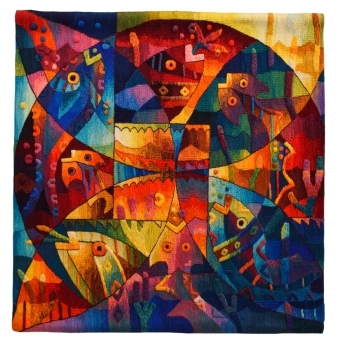 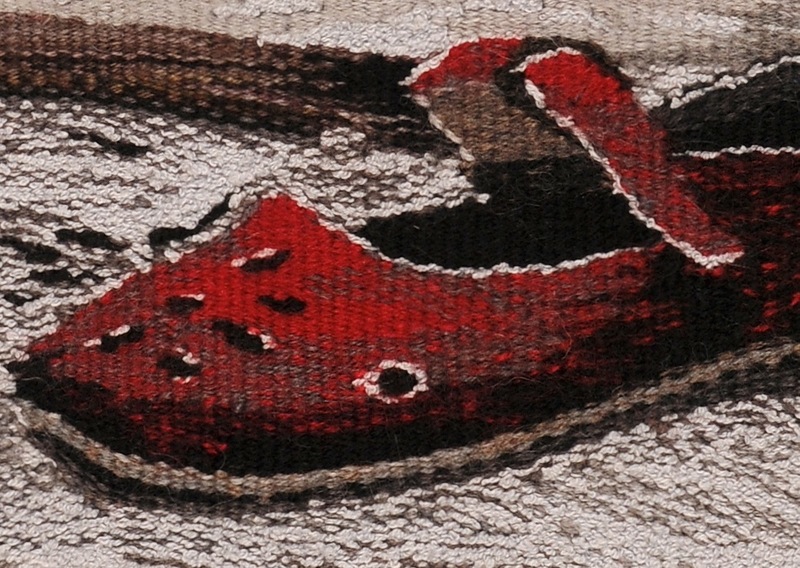 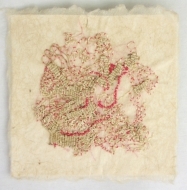 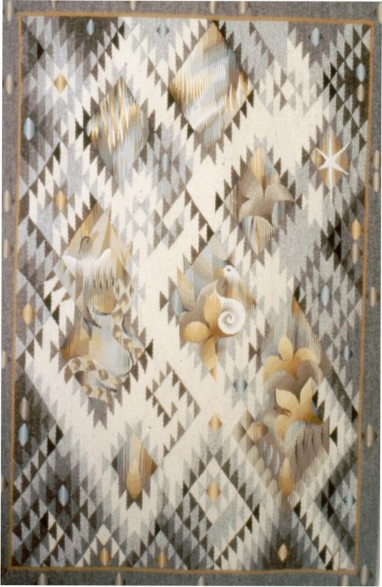 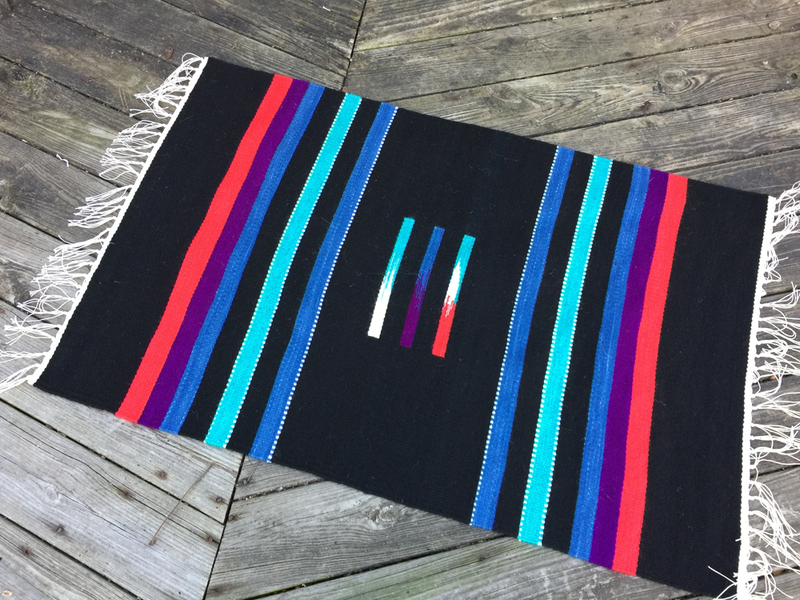 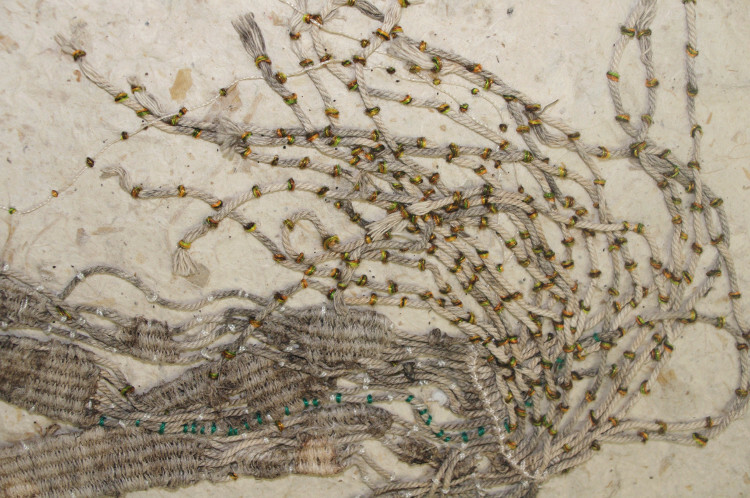 Dorothy Clews: These tapestries question ideas of preciousness. 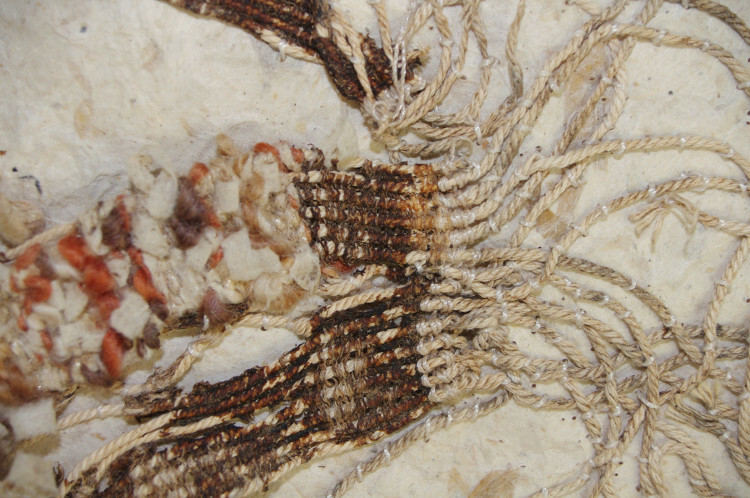 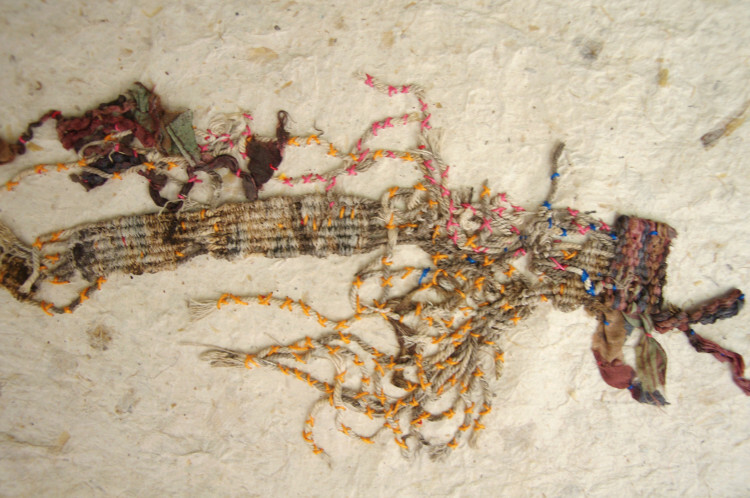 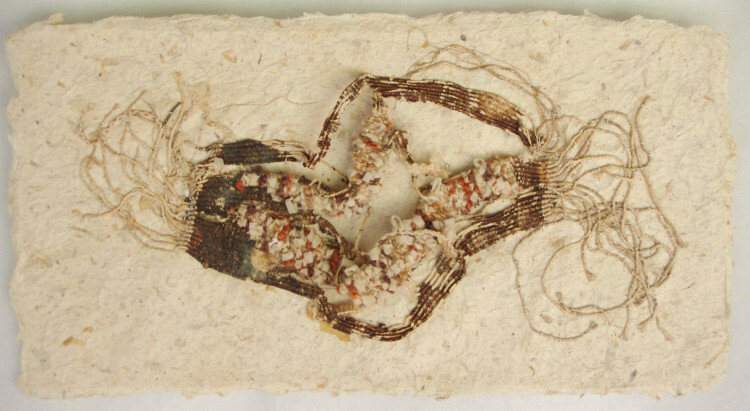 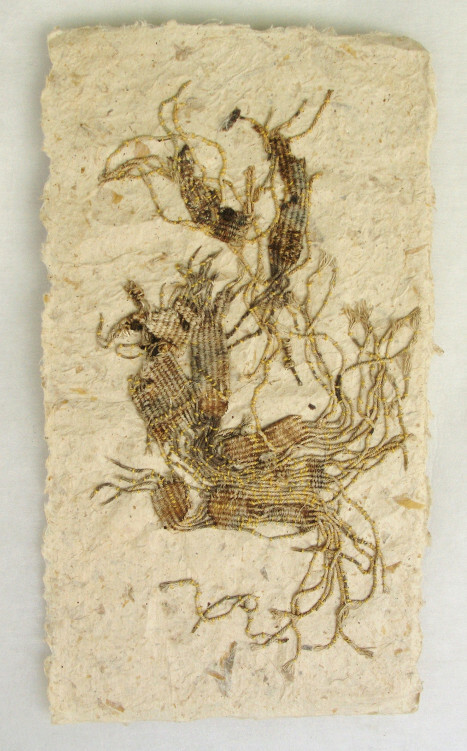 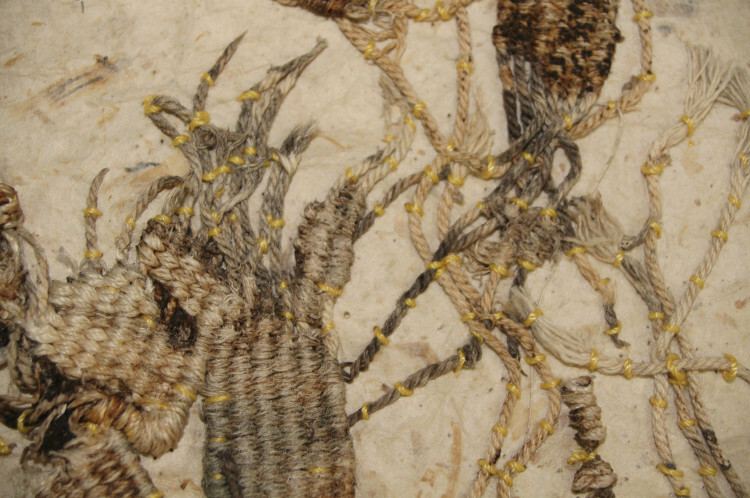 On one hand, a hand-woven tapestry has been buried and allowed to decompose, and on the other the remains have been carefully cleaned and conserved by stitched them to hand- made paper. 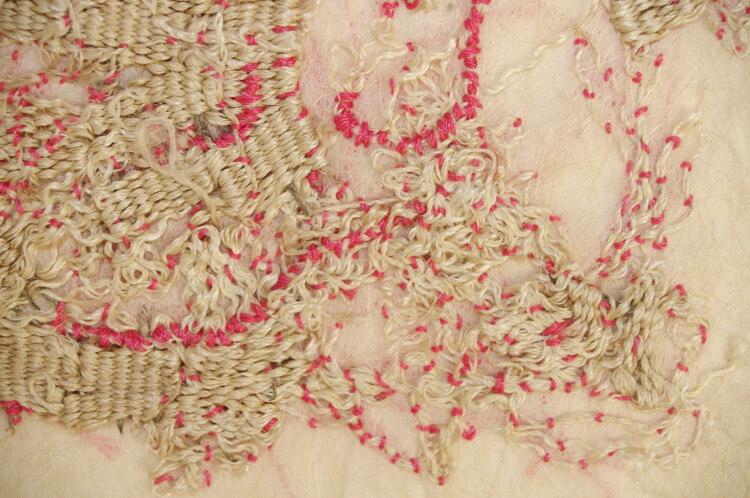 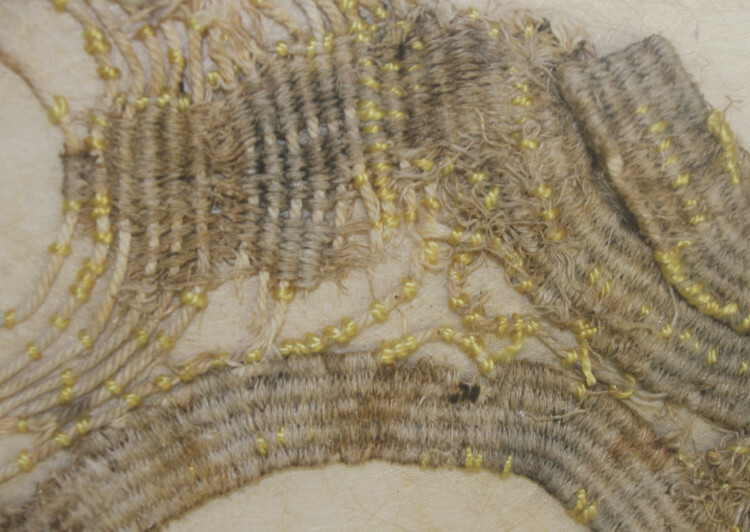 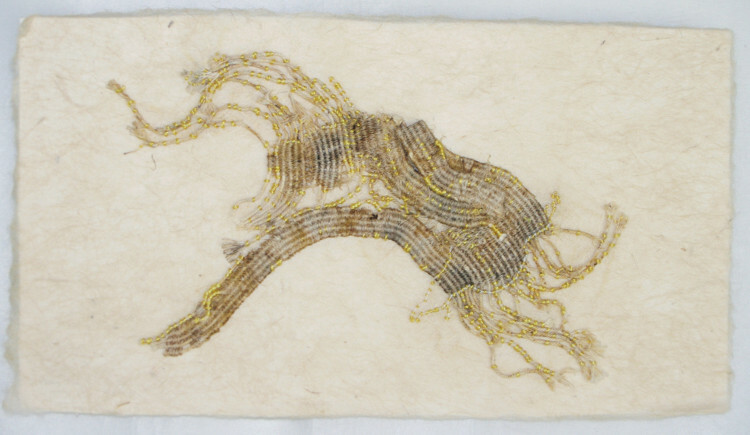 By both introducing natural forces and respecting the fibre’s inclinations in stitching, this series also invites one to consider how much control an artist must have over an artwork, or over the land they inhabit.